Green Day have rescheduled their canceled 2012 tour dates and postponed 2013 shows and will be kicking off a tour on March 28th at Chicago's Allstate Arena. "We want to thank everyone for hanging in with us for the last few months," the band said in a release. "We are very excited to hit the road and see all of you again, though we regret having to cancel more shows." 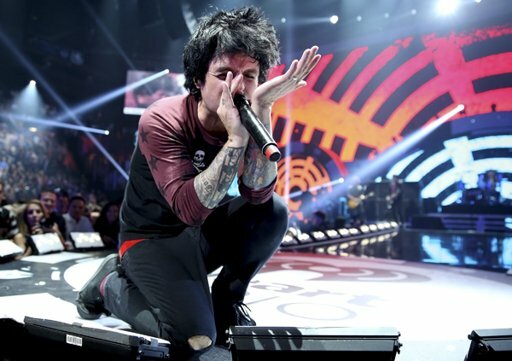 Green Day were forced to cancel and push back tour dates after frontman Billie Joe Armstrong threw a tantrum at the iHeartRadio festival in September and subsequently entered rehab. "Dear friends . . . I just want to thank you all for the love and support you've shown for the past few months. Believe me, it hasn't gone unnoticed and I'm eternally grateful to have such an amazing set of friends and family. I'm getting better everyday," Armstrong said in a release. "So now, without further ado, the show must go on." Full tour dates are listed below.